Charles Watson-Wentworth, second Marquess of Rockingham, emerged as one of the leading opposition figures during George III’s reign but also managed to head two short administrations himself. He was born in May 1730 at the family seat of Wentworth Woodhouse near Rotherham. His father, Thomas, had served as an MP, siding with the court Whigs, and had been raised to the peerage, ultimately becoming a Marquess in 1746. Charles entered Westminster School in 1738 and was colonel of a volunteer regiment during the Jacobite rebellion of 1745-6. He undertook an extended Grand Tour, with sojourns in Geneva and Italy, from 1746 to 1750. His father’s death in December 1750 made him a Marquess, and provided a substantial inheritance. In addition to estates in Yorkshire, Rockingham was also a major landowner in both Northamptonshire and Wicklow. He added further to this fortune with his marriage to Mary Bright in 1752. Rockingham, like his father, was closely associated with the political grouping around the Duke of Newcastle, and his brother, Henry Pelham. His land holdings brought him electoral influence: he controlled a couple of rotten boroughs directly and gradually built up his influence in Yorkshire and elsewhere. During the 1750s, his direct involvement in national politics was limited. His interests, instead, were in improving his estates and horse racing. Rockingham remained attached to Newcastle and thought of resigning his post in the royal household, following Newcastle’s own resignation as First Lord in 1756. Ultimately, this proved unnecessary and Rockingham became a Knight of the Garter in 1760. George II’s death instituted a period of political change. Rockingham, like most of Newcastle’s political associates, was deeply suspicious of the growing influence of John Stuart, third Earl of Bute . Rockingham feared that Bute and the new King, George III, proposed to undermine the political position of the major Whig aristocratic families. Following Newcastle’s second resignation in 1762, Rockingham left his post as Lord of the Bedchamber and was subsequently deprived of his Lord Lieutenancies of the North and West Riding in the purge of Newcastle’s supporters which followed. Rockingham encouraged parliamentary opposition to both Bute and George Grenville over the next three years. When George III tired of Grenville, Rockingham was one of the opposition leaders who wanted to accept office in the summer of 1765. He was suggested as a possible candidate for various offices but ultimately became First Lord, his first national political office of any sort. Rockingham’s rapid rise was partly due to the absence of other plausible candidates –the Duke of Devonshire had died in 1764 and Newcastle was considered too old to take major office again. The administration, like most eighteenth-century governments, was a coalition. Its major political task was to deal with the emerging crisis in the North American colonies, following the imposition of stamp duties, bitterly resisted by the colonists. Rockingham, mindful of the disruption to Atlantic trade, was keen to repeal the Stamp Act that Grenville had imposed. Nevertheless, he also wanted to reassert the principle that Parliament had the right to tax the colonists, which he duly did with a Declaratory Act. George III’s support for Rockingham was wavering. The King was unhappy with Rockingham’s refusal to admit some of Bute’s friends to office and determined to change his ministry again. William Pitt the Elder replaced Rockingham in July 1766. Rockingham was initially relieved to leave office. He was reluctant to form a permanent opposition party but his group’s ideological position was given a significant boost by the publication in 1770 of Edmund Burke’s Thoughts on the Present Discontents. Burke, who had been Rockingham’s private secretary, developed the view that the political turbulence and factionalism of the 1760s could all be attributed to the malign influence of Bute, whether in office, or from outside through ‘secret influence’. Rockingham’s health made his opposition during the 1770s episodic. He spoke on many occasions against Lord North’s handling of American affairs, advocating conciliation and trade concessions before the war with America broke out and criticising its conduct once it had. He supported reducing the civil disabilities on Protestant dissenters (unsuccessfully) and Catholics (successfully), and wanted to curb ministerial excess through measures of economical reform. He was reluctant, however, to give full backing to parliamentary reform. Following the British defeat at Yorktown, North resigned in March 1782. Rockingham was leader of the largest opposition grouping and became First Lord again. His second administration was also a coalition with the Earl of Shelburne, as Home Secretary, and Charles James Fox, as Foreign Secretary, taking leading roles. It was short-lived. 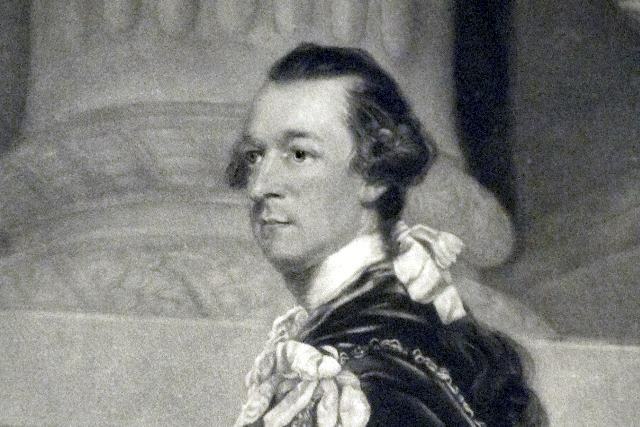 Rockingham died in July 1782, precipitating a further period of ministerial instability and factional fighting. He had achieved elements of economical reform, as well as increased legislative independence for Ireland. In the long term, Rockingham’s career was important for the boost it gave to the legitimacy of formed opposition to a government. His achievements in office were more limited. Declaratory Act 1766: for securing the dependency of His Majesty’s dominions in America upon the Crown and Parliament of Great Britain. The Catholic Relief Act 1778: introduced by Sir George Saville to dismantle some of the penal laws aimed at Roman Catholics. It enabled them to own land, inherit property and join the army. The Parliament (Crewe's) Act 1782: disqualified all officers of Customs and Excise and the Post Office from voting in parliamentary elections. Clerke’s Act 1782: disqualified any person holding a contract or commission for government service from sitting as an MP. He was passionate about horse racing and breeding. He owned the horse that won the first St Leger. He commissioned George Stubbs to paint another of his horses, Whistlejacket; the painting is now in the National Gallery. His nephew and heir William Wentworth Fitzwilliam, renamed the pottery factory on the estate in his honour. Its ceramics became known as Rockingham ware. Edmund Burke was his Private Secretary. Copyright Andrew Thompson. This article was produced as part of the No10 Guest Historian series, coordinated by History & Policy. Hi - The list of 73 past PM's is therefore wrong, it should be 74 and include the Marquis of Rockingham as the 9th and 13th PM. His short second term should not disbar him from inclusion in the list twice given that you have included the Duke of Wellington's second term which was really only as caretaker until Robert Peel could be tracked down. - Thanks! Phew! Thank goodness Mr Pitt came along, eh?